KreativMedia Review 2019: Is KreativMedia a Good Hosting? KreativMedia is a Swiss company providing web hosting, domain registration, and app hosting services. They have incredibly fast and secure servers and are staffed by a trilingual support team (German, French, and English). KreativMedia is a Swiss company providing web hosting, domain registration, and app hosting services. Founded in 2000, they have incredibly fast and secure servers and they are staffed by a trilingual support team. They currently serve over 30,000 customers with their Switzerland-based network. KreativMedia only has two shared hosting packages available, but both are “all-inclusive” website starter kits with far more than enough resources and features for the average individual or mid-sized business. The Default plan affords you 100GB storage, up to 20 hosted domains, unlimited emails, and unlimited databases; the Business plan upgrades you to 200GB storage and unlimited domains. Beginners will appreciate the WebBuilderKit packaged with both shared hosting plans. This browser-based website builder and image editor include over 100 professionally-designed responsive themes allowing you to get a great-looking website up without any programming knowledge. If e-commerce is your thing, go for the Business plan instead: the WebBuilderKit coupled with this plan supports the creation of online shops. For those who are unaware, Swiss-based servers enjoy the extra protection of Switzerland’s economic and political stability in addition to their strict data protection laws. Their servers also tend to be newer, more advanced, and better maintained than those in most other countries. This means choosing a Swiss hosting provider will afford you more privacy particularly if you’re in an industry that requires utmost discretion. KreativMedia does not appear to have an uptime guarantee, but they promise a network availability of 99.9%. Alternatively, if what you require is a more high-powered or scalable hosting solution, this hosting provider does have managed cloud servers and managed VPS packages available. KreativMedia’s pricing schemes for their shared hosting, cloud server, and managed VPS are definitely reasonably priced. 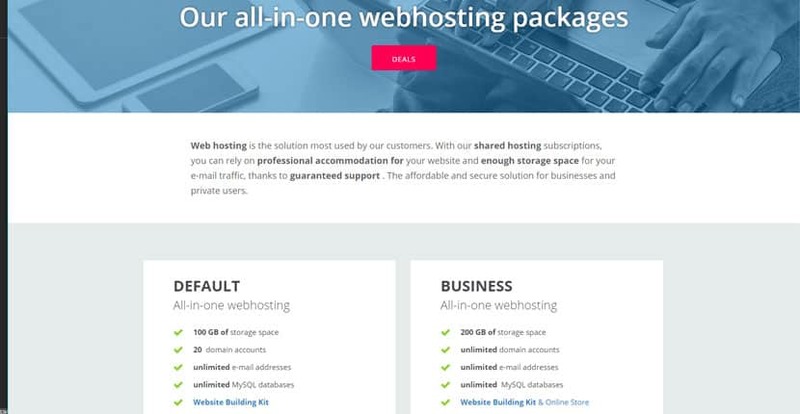 This is especially so considering that their shared hosting packages are all-inclusive and have a wealth of features including multi-domain management, a website building starter kit, and more resources than you’ll likely use. Similar offerings from competing companies would be priced higher and usually wouldn’t include many of these value-added features. However, one area they seem to have overlooked is that their shared hosting packages do not include a free domain – apparently, they aren’t such “all-inclusive” packages after all. You’ll have to factor in the cost of your domain registration. There aren’t any free plans or trials available, but there is a 30-day money back guarantee. Both shared hosting plans provide free ticket support 365 days a year – they’ll respond to you within two hours during business hours and 24 hours outside of their office hours. You can also reach their staff by phone during business hours on weekdays, but you’ll only get the free callback service if you’ve subscribed to their Business hosting plan. The support team is trilingual and will communicate with you in English, German, or French. My impression of their support team is excellent and even though I asked a rather technical question on configuring databases, they adeptly walked me through the process with easy-to-follow instructions. KreativMedia’s offerings are polished and well-developed. Their beginner-friendly packages will be particularly attractive to small to mid-sized business owners who are new to website building. Wondering how KreativMedia stacks up against other Web Hosting companies? Enter any other Web Hosting company and we will give you a side-by-side comparison.